We've come to the end of November, and with only one month of the year left to go, the industry is still pushing forward with regular new drug approvals. 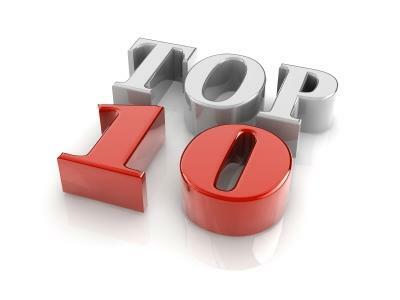 A number of these made our top ten most popular stories this week, but the most read story on Pharmafile.com was the news that Immuno Biotech owner David Noakes will be sentenced for offering an unlicensed and untested "cure" for HIV, cancer and autism. Roche’s subsidiary Genentech has finalised a definitive agreement to acquire Jecure, a US-based biotech which focuses on the discovery of drugs to treat serious inflammatory conditions, in a bid to square up to rivals in the treatment of fatty liver disease. Novartis' one-time gene therapy Luxturna has been awarded approval by the European Commission for the treatment of vision loss due to a genetic mutation in both copies of the RPE65 gene and who have enough viable retinal cells. Mundipharma has revealed that Pelmeg, its biosimilar version of Amgen’s Neulasta (pegfilgrastim), has been awarded marketing approval by the European Commission. Europe has seen its first and only approval of a long-acting therapy for opioid dependence, as the European Commission (EC) confirms the marketing authorisation of Camurus’ Buvidal (CAM2038). The Mundipharma network has confirmed the appointment of Arnaud Breabout, to the position of Senior Vice President & Chief Financial Officer. NHS England has announced that the health service is set to save £300 million by switching to biosimilar versions of AbbVie’s best-selling anti-inflammatory drug Humira (adalimumab), bringing the current annual total spent on the drug down by 75%. The owner of Guernsey-based biotech Immuno Biotech Ltd, David Noakes, will be sentenced this week after admitting to a number of charges concerning the sale of unproven and unlicensed HIV, cancer and autism ‘cure’ GcMAF.